Enabling Blue Light Filter Windows 10 is not a difficult task. 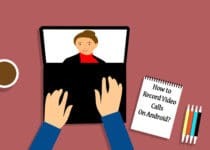 There are many methods to Enable Night Mode or say Blue Light Filter but today I’m going to share 2 Working Methods out of them. Here, in this Article, I’m going to Share How you can Use or Enable Blue Light Filter In Windows 10. If you ever feel the problem of watery eyes while using the laptop for a longer time, then you should start using Blue Light Filter for PC. If you are thinking to Reduce Brightness to 0%, let me tell you that, even after reducing the brightness, blue light emissions from the computer screen are high enough to swell your eyes with water. There are also many Blue Light Filter Sunglasses which you can buy but why to waste money when you can turn on Night Mode or Blue Light Filter On Windows PC? 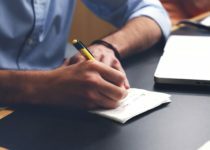 Though there are many methods and Software for Blue Light Filter On Windows 10, here I’ve going to share best and working methods out of them. When it comes to Windows Tips & Tricks, I’ve already shared many Articles on that like How to Disable Laptop Keyboard, Direct Message On Instagram PC, etc. and today I’m going to Share about Windows 10 Night Mode. So, without wasting more time, let’s proceed further and check out How To Use or Enable Blue Light Filter Windows 10. 1.1 Method 1: How to Enable Blue Light Filter Windows 10 Without Any Software? 1.2 Method 2: How to Use Blue Light Filter In Windows, Linux & Mac? 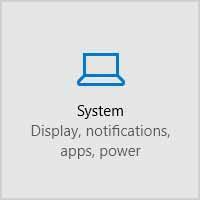 Method 1: How to Enable Blue Light Filter Windows 10 Without Any Software? In this method, you don’t need to download any external software to enable Blue Light Screen Filter for PC. Recently, Windows has added new Blue Light Filter feature in Windows 10 Creators Update. You can easily Access to Blue Light Filter Settings and Adjust Blue Light Settings. Follow the below steps to Enable Blue Light Filter for Computer screen. NOTE: Make sure that you are using the latest version of Windows 10 Insider Build 15002. Firstly, Go to Settings On your Windows 10 PC. Now, Go to System Settings. Under Display Settings, Find Lower blue light automatically. Once you find the option, Turn On the Toggle. After enabling the Blue Light Option, Now Click On Blue Light Settings. Here, Click On Turn on now Option. You can adjust the Color temperature at night with the slider. You can also change other settings according to you. Done! With this Simple Settings, you can easily Enable Blue Light Filter For Laptop. 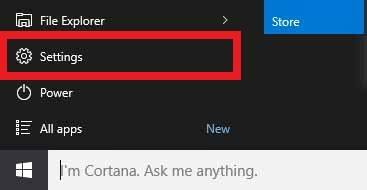 If Windows 10 Blue Light Filter Missing on your computer, make sure you are using the Latest Windows 10 Insider Build 15002. If you are unable to Use Windows Blue Light Filter Option, then follow the 2nd method for that. In Second Method, you can easily use Blue Light Filter On Linux, Windows & Mac. 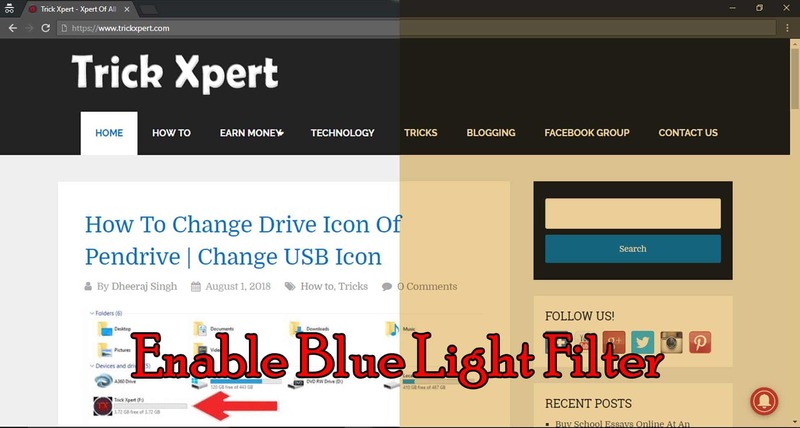 Method 2: How to Use Blue Light Filter In Windows, Linux & Mac? In this method, you need to Download a Software named f.lux. F.lux is a third party software which you can download for Windows, Mac & Linux that will help you to protect your eyes by enabling Blue Light Filter. F.lux is basically a Software where you can adjust Color Temperature and Blue Light Filter automatically. Firstly, Head over to your PC to Download the Software. 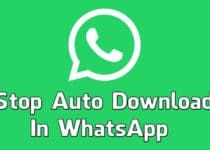 After Download, Install the Software. Once the installation is completed, you are good to go. Finally, Allow your Location or Manually Enter your Location. Basically, this software uses your location and automatically schedule the blue light filter on your PC. 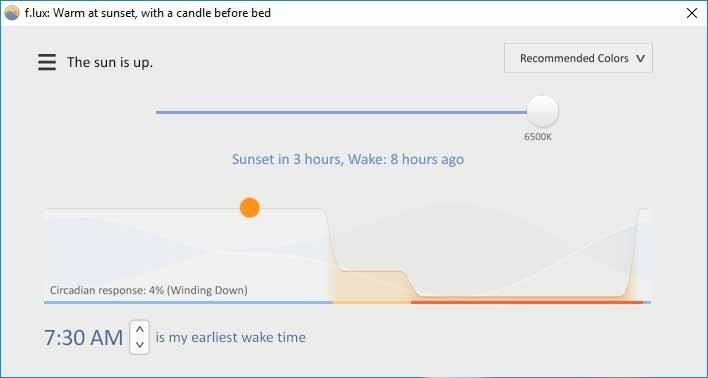 Based on your Location & Wake Time, this software will create custom lighting that changes every day. F.lux also has many other features which will protect your eyes from blue light and eyestrain. This Software will automatically adjust the blue light filter and you can also adjust it manually according to your needs. This was the Article On How To Enable Blue Light Filter In Windows 10. Apart from this, there are other few methods as well and other Blue Light Filter Software for PC but here I’ve shared the best out of them. If you compare any other Windows 10 Blue Light Filter Vs Flux, then you can find Flux is one of the most popular Night Mode Software which enables automatically using your location. Also, if you can’t find blue light filter windows 10, make sure you are updated to the latest version of Windows. Hope you liked this Article On Blue Light Filter Windows 10. Do Comment below if you have any query. Stay tuned with us for more latest Tricks & Updates.